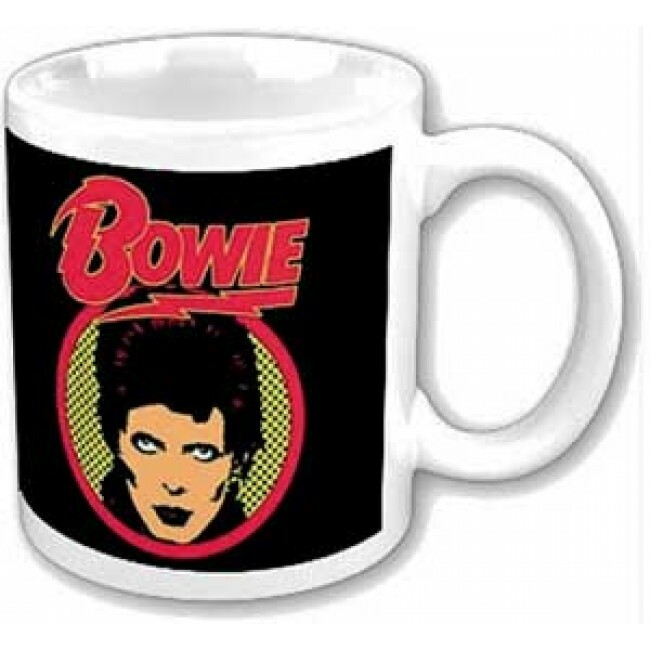 David Bowie 11 oz. ceramic mug with color printed Flash logo design. Packaged in a coordinated presentation box.